If you are looking for a move-in ready, immaculate home this one is for you. This home has been lovingly cared for by the original owners and it shows! Home was recently painted, flooring replaced and kitchen and bathrooms remodeled. Home comprises a central kitchen and dining area with a formal living room or study to the front and a large den or game room at the back. Master suite faces the front of the home and the secondary bedrooms face the back. Cute, covered back patio off the game room. Large front and back yards. There is a one car attached garage and a single car port. Please, send me more information on this property: MLS# 53253558 – $120,000 – 9230 Terrydale Drive, Houston, TX 77037. 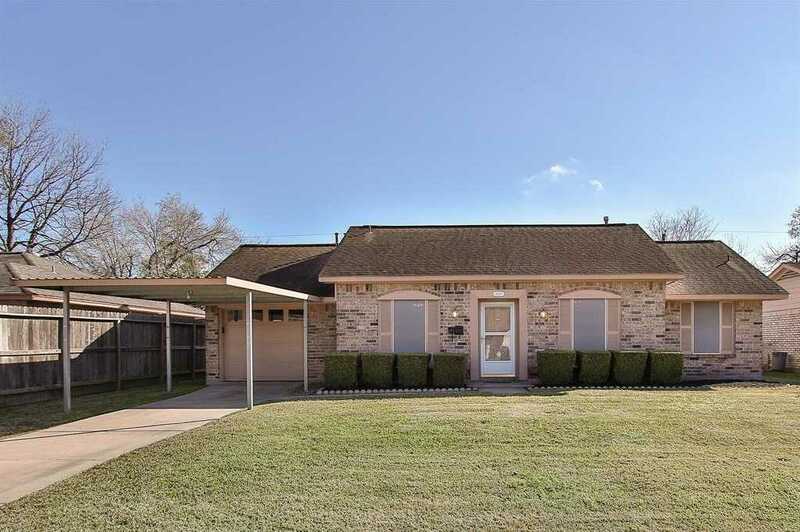 I would like to schedule a showing appointment for this property: MLS# 53253558 – $120,000 – 9230 Terrydale Drive, Houston, TX 77037.